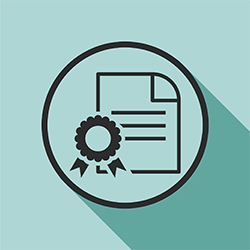 With the demand for experienced ASC administrators rising, many candidates are taking additional steps toward advancing their career by earning a Certified Administrator Surgery Center (CASC) credential. In a previous post, we covered the basics of this credential and the steps required to earn it. But the learning process doesn’t stop there. Ongoing education and renewal of the CASC credential is essential to stay abreast of best practices and remain on the cutting edge of ASC management. Once earned, your initial CASC Certification will remain in effect for three years. During this time, you will need to maintain continuing education through AEUs (Administrator Education Units) and pay an annual certification fee to retain your credential. When choosing AEUs, remember to go for variety. They’re required in each of the five administration content areas: Delivery of Patient Care, Quality Management, Human Resources, Financial and Regulatory, and Legal Issues. Candidates are required to submit 45 AEUs per three-year certification cycle, and it is highly recommended to submit 15 AEUs annually to stay current on industry trends and remain on track to meet the 45 AEU requirement. Attend the ASCA Conference: Here you’ll be able earn AEUs for all five content areas, and if you plan it right, you may even be able to earn all 15 AEUs in one conference! The ASCA Conference is also a chance to network with peers, meet industry vendors, learn about the newest technologies, and bring it all back home to share with colleagues. If you'll be at ASCA 2016 in May, please stop by SourceMed booth #607 to say hello and see our newest solutions, designed specifically for ASCs. Participate in learning opportunities offered by BASC approved providers, including SourceMed. When choosing an educational opportunity, be sure that it is associated with a BASC Provider number. Not all offerings will necessarily be approved for AEUs. Contact the provider directly to obtain verification if you are unsure. Maintaining your CASC certification comes with many benefits. The first substantial one is that by participating in continuing education, you’ll ensure that you are investing in your knowledge of the outpatient industry, helping you to make informed decisions to benefit your facility and your patients. Another benefit is that by maintaining the credential, your name will be listed among the other certified individuals in a list published annually by the Board of Ambulatory Certification. That’s a nice perk in of itself, but simply being a part of this list can open up employment opportunities. In addition, professionals everywhere recognize the multi-pronged competency required of candidates who pass the exam, and maintaining the required continuing education demonstrates your commitment to being the highest caliber of ASC leader. That’s more than a pat on the back – it's a clear edge when evaluating a career move.